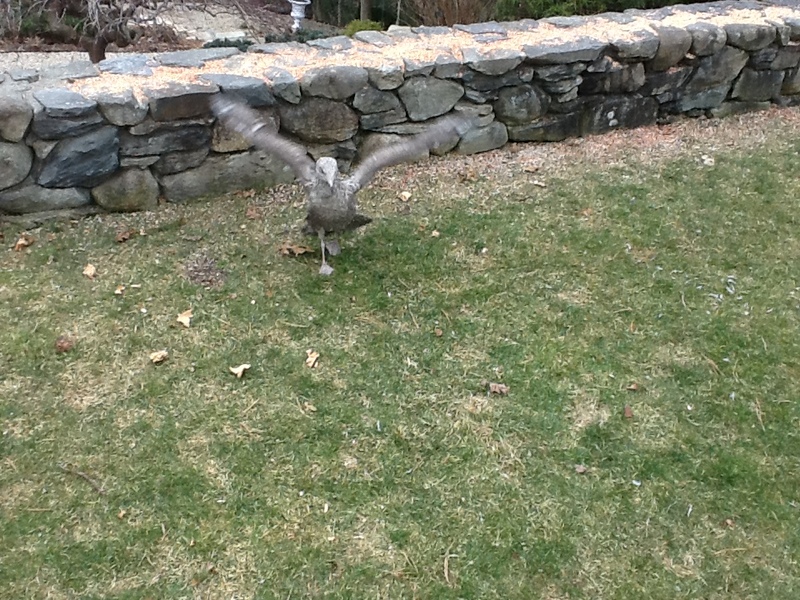 Precision Wildlife received a call Monday from our customer in Osterville MA. They feared there was a squirrel stuck in the chimney, they had been hearing some noises and needed our help! The technician was dispatched and on site the same day. To our surprise we got there ready for a typical removal and found something slightly different then what was thought to be a squirrel. A seagull was stuck in their chimney, not just a random seagull. This was a seagull the customers were familiar with and had been feeding for months now "Baby". 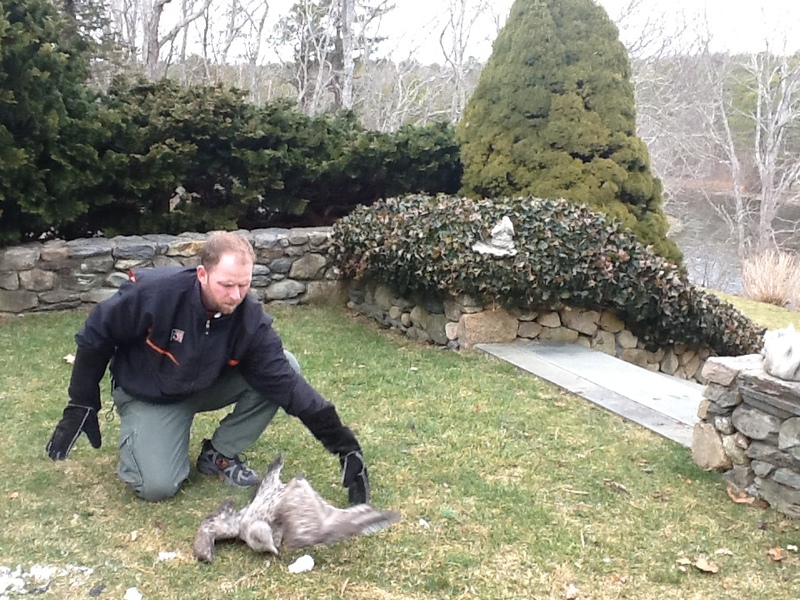 We were able to remove Baby safely from the customers chimney and follow our customer to Cape Cod Wildlife Center where he would be checked out and treated for any possible injuries. Also sealing the customers chimney to prevent any other mishaps or unwanted visitors! Our customer was nice enough to send a thank-you and some great pictures of the rescue. "Thank you very much for rescuing the seagull (that John & I call "Baby"), from our dining room fireplace this afternoon. 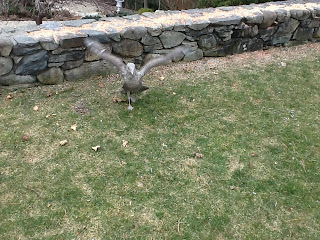 We have been feeding this young gull and it's mother, for several months, as they show up on our deck every day. Apparently, "Baby", who sometimes will perch on our roof, fell into the chimney. We found you through the Internet last night and left a message and appreciated your prompt response to our call." "You went above and beyond our expectations and it was very much appreciated." Baby is being treated at Cape Cod Wildlife Center with antibiotics and fluids. They expect to keep him for several days then he will then be released right back where he came from on Osterville! Precision Wildlife specializes in wildlife removal, prevention, commerical & residential. You may not have any issues now or even hear noises but if you have any questions regarding prevention contact us today!